Five Courses in One! Photoshop Retouching + Effects for Portrait Photography and More. Learn the Essentials to Advanced! Students need Adobe Photoshop (preferably Creative Cloud, although many earlier versions will have many of the tools; free trial version is fine as well). Let’s get started learning and creating! 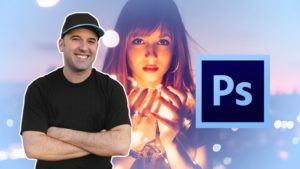 Anyone interested in learning the essential Photoshop techniques in portrait photography. Portrait photographers who want to offer extra services to clients such as special effects, color and lighting correction, retouching, and advanced black-and-white conversions. Created by Chad Neuman, Ph.D.